Simple Audio sold to US company Corsair | What Hi-Fi? 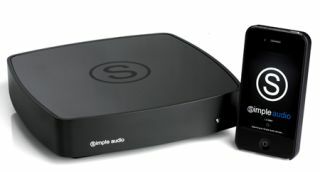 Simple Audio, the Scottish company behind the Roomplayer multiroom system (above), has been bought in a "multi-million dollar deal" by the US-based PC hardware company Corsair. It will continue to make and develop the firm's range of music streaming products from its offices in Glasgow. Peter Murphy, founder and CEO of Simple Audio, says: "Corsair's extensive resources and worldwide distribution infrastructure will undoubtedly help Simple Audio achieve its ambitions, including plans to launch our products in the US and Asia during 2013. We're delighted to be part of Corsair and very excited about the future." Corsair, which has an annual turnover of $0.5bn and was founded in 1994, designs and manufactures components and peripherals for PC enthusiasts and gamers. Andy Paul, president and CEO of Corsair, adds: "We have followed Simple Audio as a potential investment opportunity since 2010 and we are extremely impressed by their vision of HD digital music in the post-iPod era." Initial investment for Simple Audio was provided by PAR Equity and the Scottish Co-Investment Fund.